This book hits the ground running. Judge Scott Sampson gets a text from his wife’s phone telling him that she is going to be picking up their six-year-old twins from school. It is not until his wife gets home, sans children that he realizes something is very wrong. Within minutes, the phone rings and a voice on the other end tells him to say nothing, that they have his kids, and instructions will follow. Sampson is a federal judge, and the kidnappers seem intent on subverting the court for their own ends. While trying to investigate the kidnapping without alerting the authorities, personal and professional secrets and animosities are dredged to the surface. Slowly, everyone in Sampson’s life begins to look like a suspect. This is a tidy little thriller. 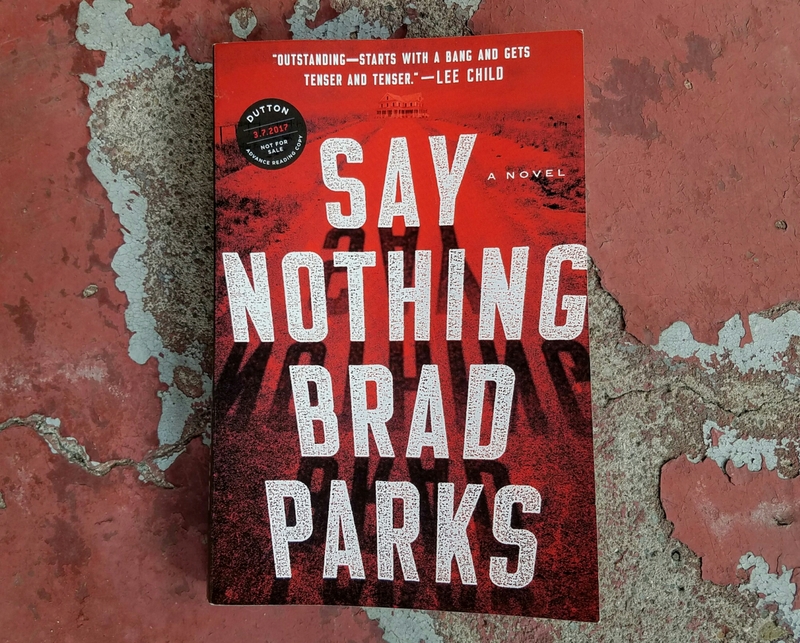 Parks manages to instill a real sense of paranoia throughout the story, and he throws enough plot twists and red herrings into the mix to keep the reader guessing. This is also one of those books where literally nothing seems to go right for our protagonist, and you find yourself wishing that the poor guy would just get one little thing to go his way. Suspense and thriller lovers will likely enjoy this book. The plot revolving around the manipulation and coercion of a federal judge also resonates in this day and age. The entirety of the plot, once revealed, feels frighteningly plausible. An advance copy of this book was provided by the publisher in exchange for an honest review. Say Nothing will be available for purchase on March 7th, 2017.